Top performing high school students should be aware that the U.S. Military is a substantial source of college scholarships. The Army, Air Force, and Navy dedicate a billion dollars annually to providing financial aid to aspiring military officers. Reserve Officers’ Training Corps, or ROTC, officer candidates can receive financial assistance with tuition and monthly expenses in exchange for a commitment to serve as a military officer after graduation. The vast majority of ROTC scholarships are awarded to high school seniors who plan to attend college after graduating from high school. The student must be accepted by a college that has a ROTC unit or participates in a ROTC program at a nearby college. College students affiliated with the ROTC are required to engage in military training several hours each week and successfully complete assigned military leadership courses. ROTC students are otherwise permitted to live the life of an ordinary college student as they prepare for military service. Following graduation from college, ROTC officer candidates can look forward to service as an officer in the Army, Navy, Air Force or Marines. Students interested in serving as a Marine Corps officer should apply to the Navy ROTC scholarship program. Unlike many other scholarship programs, ROTC scholarships are based on merit rather than financial need. Nevertheless, ROTC students can apply for additional scholarships if necessary. 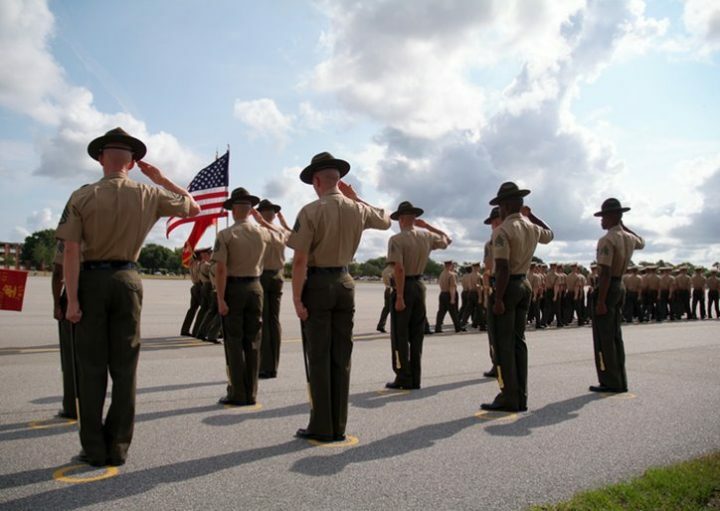 Most ROTC scholarships are for a period of four years, although some two and three-year scholarships are available for aspiring military officers who have not yet joined a ROTC unit. The standard four-year scholarship is awarded to high school students based on the results of a stringent national competition. Each year, approximately 4,000 deserving ROTC applicants are selected from more than 25,000 applicants. 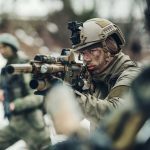 Army officer candidates will be required to serve for a combination of eight years in the active Army, Army National Guard, or Army Reserve after graduation from college. Four years of active duty service is required for Navy, Air Force, and Marine ROTC officer candidates. To qualify for a ROTC scholarship, the applicant must be accepted at a college that accepts ROTC scholarship students. Interested high school seniors are advised to submit applications to several ROTC-affiliated schools to increase the odds of being accepted in a desired area of study. The Army and Air Force often require ROTC students to pursue a specific course of study. High school students can improve their chance of being selected for a ROTC scholarship by taking four years of math and English, three or four years of a foreign language, and a substantial number of laboratory science classes. Taking honors classes whenever possible will also prove helpful. Maintaining a B+ grade average or higher and finishing in the top 15% of a graduating class is also recommended. Compiling an SAT score of 600 in math and critical reading or a composite score of 28 on the ACT examination is also beneficial. Joining the National Honors Society, holding elective office in student government, and participating in varsity athletics are definite assets. ROTC scholarships are awarded to the best overall students from the annual crop of graduating high school seniors.